As I have been progressing on adding custom scenery, I notice some conflicts that I’d like to get some input on how to resolve. I am sure I have put everything in the correct ‘order’ in my custom scenery folder… yet I still get certain conflicts. It looks to me that the W2XP conflicts with airport or other custom object scenery. These pictures are the most egregious examples. Anyone provide me advice on the best way to resolve it? 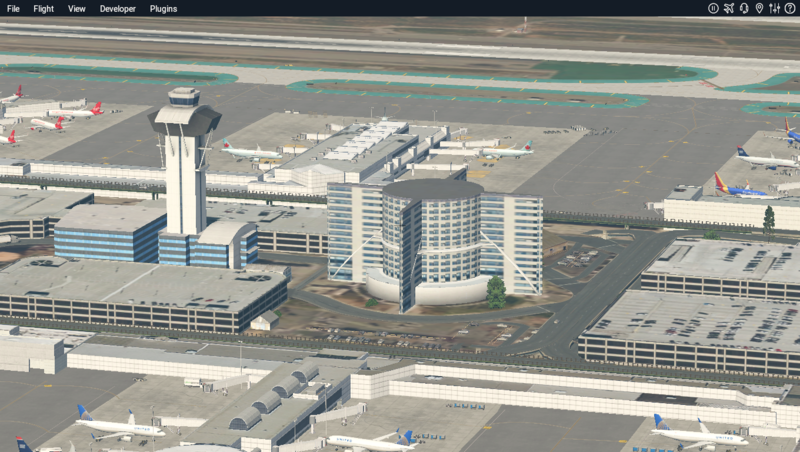 In this one the restaurant at MisterX’s KLAX appears to be conflicting with a w2XP object or autogen building which is trying to ‘estimate’ what the structure is. 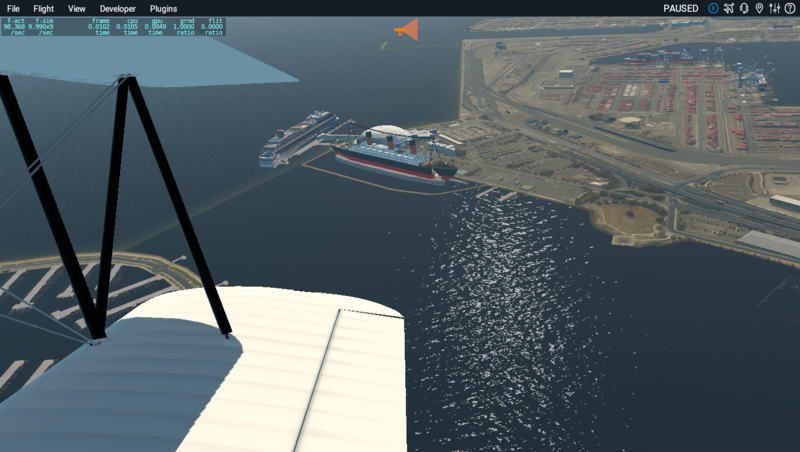 And in this one a custom scenery for Long Beach, which includes the Queen Mary is conflicting with an autogen boat or something, possibly W2XP as well…. You might download X-Organizer. It’s a great and free plugin that will order your scenery file for you and point out any conflicts. Every once in a while I need to order something by hand, but it’s very useful. It also will show you where you have mesh, ortho tiles, let’s you turn on / off plugins before you load, and more. It’s a great tool. I am trying to revise my x-plane home field airport Hawarden (UK) where I fly in the real world. The taxiway edge markers in the real world are a mixture of blue lights and blue Retro-reflective Taxiway Edge Markers (see attached data sheet for the real thing). The lights are relatively easy to add but does anybody have a blue Retro-reflective Taxiway Edge Marker object I could use? Taxiway Edge Lines; Where it is necessary to define the outer edges of a taxiway, e.g. where a paved taxiway shoulder has a bearing strength less than that of the main taxiway or where a taxiway lies adjacent to a paved area not intended for use as a taxiway, the outer edges of the taxiway should be marked as shown in the attached jpg file. The mark should be so positioned that the inner edge of the mark represents the outer edge of the taxiway. Does anyone have a ‘lin’ file for this type of line? Unfortunately, I think the only way to fix these conflicts is by using WED, but I haven’t a clue how to do it and I’m worried I’m gonna screw something up… also, I’m very reluctant to ‘fix’ MisterX’s great work on LAX…The idea that I had was to create an exclusionary zone, redraw the airport boundary to ensure the building under conflict is covered, then maybe the W2XP file object won’t show since it’s underneath in the scenery order. The other idea is to use WED to delete the conflicting object in the W2XP file, which I think is safer, but when I try to open that file in WED, I don’t see any list of objects to delete. Maybe it’s not compatible in the editor. Other than that – if you’ve had this type of issue before, I’d love to hear any other suggestions. Thanks!